If you haven't heard of the multi-talented, rad cartoonist, teacher, illustrator, and writer Jess Smart Smiley, you're in for a treat. Smiley is based in Utah and has created six rad kid's books including Upside Down: A Vampire Tale and Rude Dude Book of Food. His bold drawing style and witty characters are not only smile-inducing, they're approachable. By creating hilarious, instantly love-able personalities out of simple shapes and lines, Smiley makes illustration inviting for readers of all ages and drawing skill. In his latest book Let's Make Comics Smiley leads readers through a roller-coaster ride of 90 jam-packed activity pages that offers a foundation for any budding cartoonist. Best friends Peanut (a turtle donning a top hat) and Bramble (a lady-bug loving bear) star as the teachers of the activity book, creating mischief and adventure on every page. 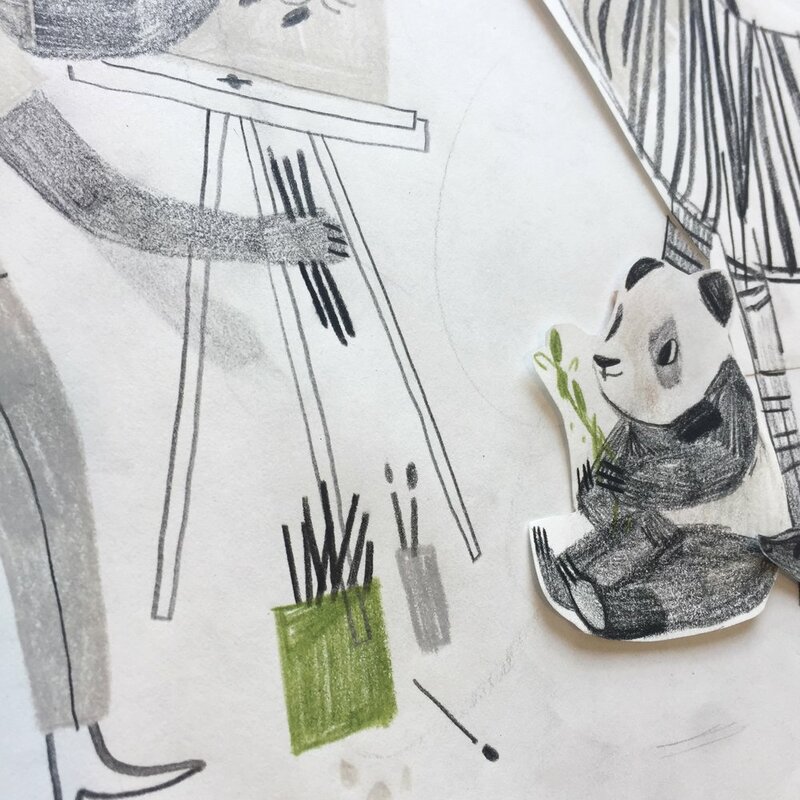 Because the book is set up with its own comic book narrative, Smiley makes learning the ins-and-outs of drawing feel just like watching Sunday morning cartoons. And for kids and grownups that have a paralyzing fear of picking up a pen, this book is a refreshing antidote. 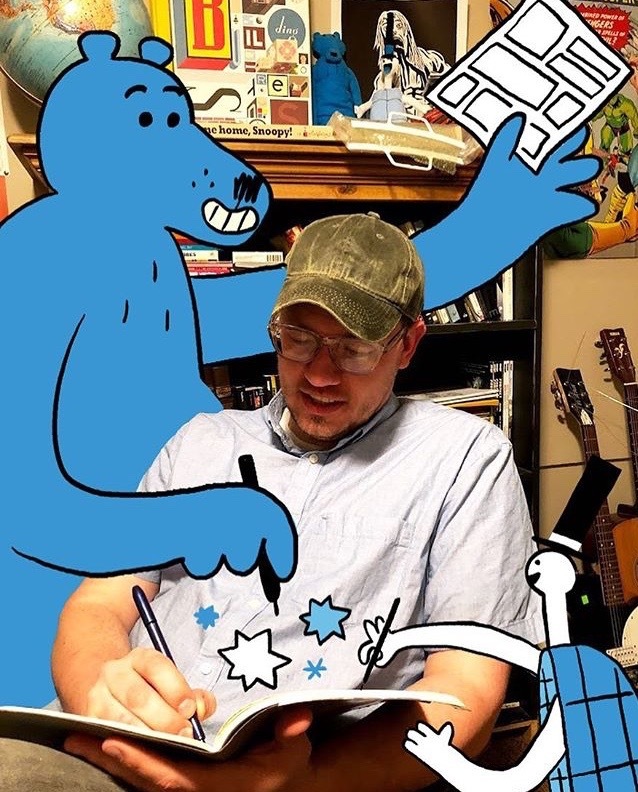 We were lucky enough to pick Jess Smart Smiley's brain a bit about the joys and challenges of being a professional artist, the process of making Let's Make Comics, and some of his favorite graphic novel and comic recommendations. We hope you enjoy, and don't forget to check out ILLUSTORIA's Instagram giveaway of the book running now until June 31st! Hi Jess! Tell us about yourself. Jess Smart Smiley is a joke. Seriously. He makes rad pictures with his bare hands and has helped more than 1,000 children, teenagers, and adults create their very first comics. See more at jess-smiley.com. What was the last thing you made with your hands? I drew this tiger face in my sketchbook. In your latest release, Let’s Make Comics, you offer tons of creative, engaging ways for comic book beginners to start creating their own story lines. What was the inspiration behind this book? 6 years ago I was invited to teach a week-long comics workshop to teenagers. I came up with the activity pages as a way for students to complete a comic while also exploring the nature of comics, the role of words and pictures, and a variety of tools, methods, and techniques for creating comics. 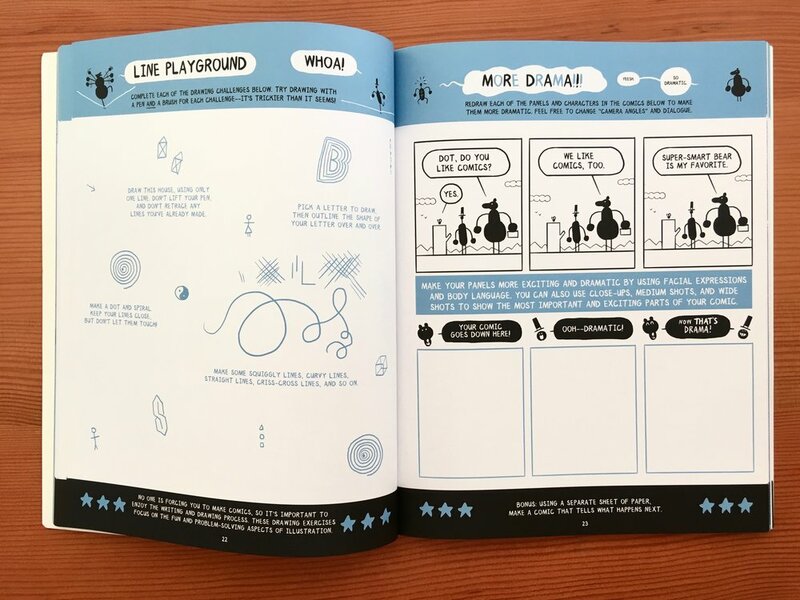 Since that very first workshop, I’ve used the activity pages to introduce children and their parents to the exciting world of storytelling through comics! What do you love most about creating comic books? Because a comic can display several illustrations on a single page, it gives me the opportunity to draw a character I love from a bunch of different angles, in a variety of situations, and with a range of emotional expressions. Can you talk about your process of creating Let’s Make Comics from start to finish, and share some process pics with us? Sure! 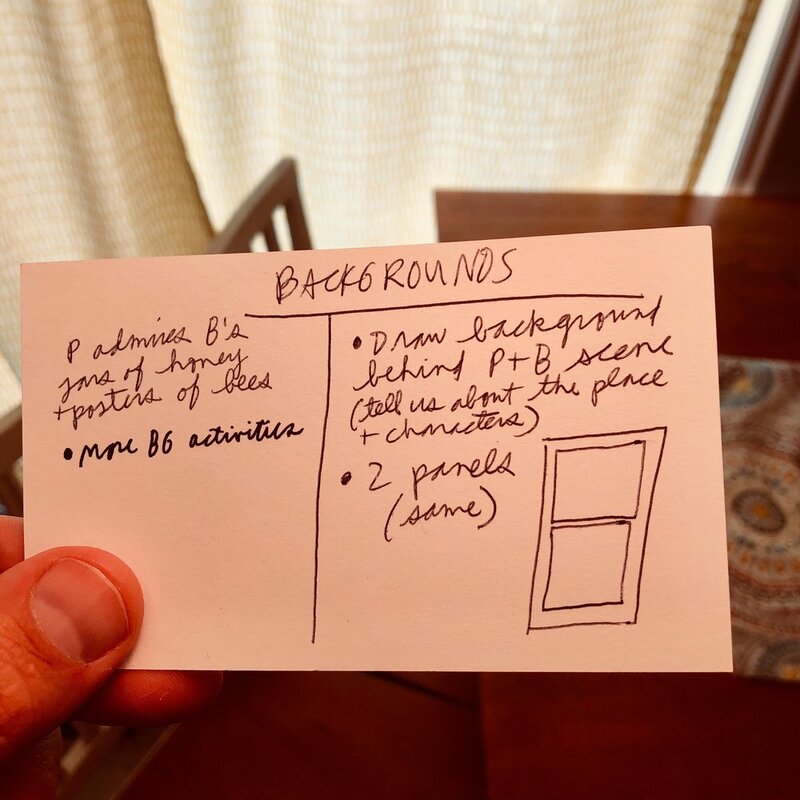 Once I had created a handful of activity pages for my workshop and had seen how helpful they were for beginning creators, I started writing ideas for other possible pages onto index cards. I used something like 350 index cards and then picked my favorite 100 or so from the stack. From here, I grabbed a bunch of blank 8.5" x 11" copy paper and spent some time drawing very rough versions of each activity. The drawings were sloppy and the writing wasn’t usually well-thought-out, but my goal was to get the idea down on paper in a way that I could understand and make a final version from. I scanned each rough activity page and pulled them one at a time into Photoshop, where I created new layers for my final drawings, colors, and text. If you could be any comic book character from history, who would you be and why? Probably Snoopy. Now THERE’S a dog who knows how to have a good time! Plus, his dog house can fly! Quiet. Timid. Always drawing in class. 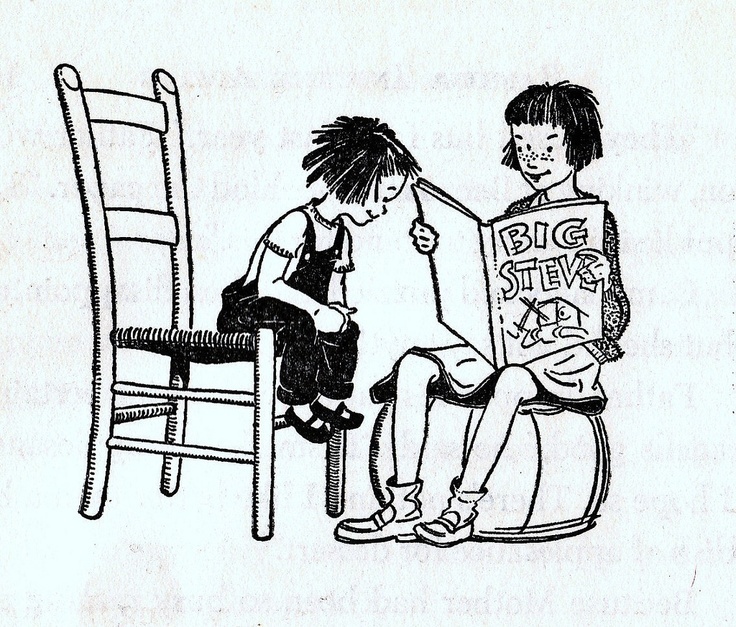 I loved playing basketball and kickball at recess and reading everything from Roald Dahl and Beverly Cleary. Pitching a new idea. Publishers want to make great books, but they can’t just trust a creator to do whatever they want. Publishers want to know what your next book will be before you’ve made it. That means a creator has to prepare some illustrations and writing that demonstrate and describe a book before it ever exists. If I don’t put enough thought into the drawings and writing in my pitch, then I leave too many gaps in the story and holes in the idea for publishers to guess at. It’s like not finishing a sentence—and how often do people guess at exactly what you were trying to say? Where/ do you feel your most creative? When I’m working on a project I’m really enjoying, but also have time to explore doodling in my sketchbook and time to read. What is your favorite activity from Let’s Make Comics? I love watching children, teenagers, and adults complete the “Let’s Take a Walk” activity on page 26. 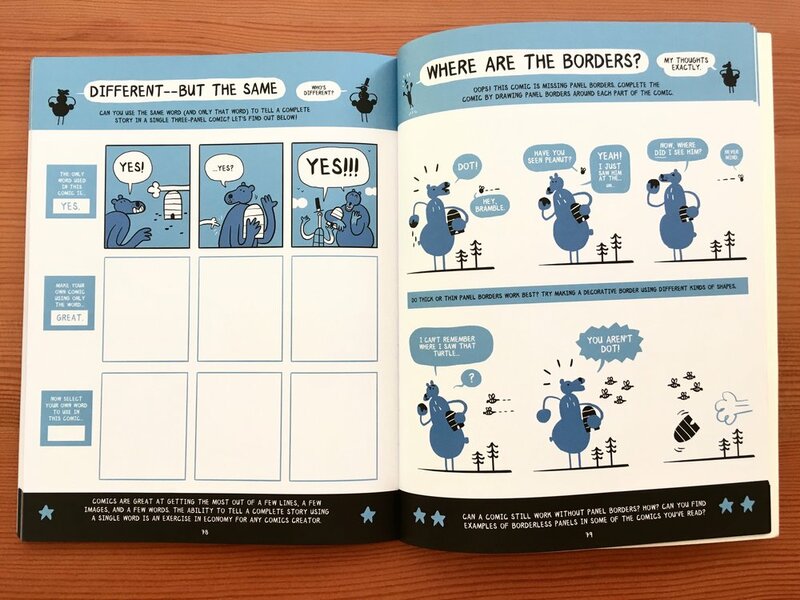 The comic is missing backgrounds and environments, so it’s up to the reader to draw their own into the comic. What are some comics every kid should get their hands on, ASAP? Bone by Jeff Smith is a wonderful fantasy adventure centered around a lovable cast of friendly cousins who find themselves in a magical and terrifying forest, where they encounter horrific creatures, the Great Red Dragon, and a host of mysteries. The Hazardous Tales series by Nathan Hale recount true tales from history in an incredibly informative and entertaining way. There are currently 7 books in the series, covering everything from the Revolutionary War to the Donner party and World War II. The Unsinkable Walker Bean by Aaron Renier is the book I’ve gifted the most—to young readers, to my cartoonist friends, and to anyone who enjoys a good story. Walker Bean is a young boy who takes to the high-seas in an attempt to relieve his grandfather from an ancient curse. Along the way, Walker Bean encounters pirates, sea witches, mysterious machines, and a magical glowing skull. Do yourself a favor and read it before the sequel comes out this October! Raina Telgemeier’s Smile tells the story of the author’s sixth-grade experience with injuring her front teeth, getting braces, trying to understand boys, and finding her true friends. What is the day in the life of Jess Smart Smiley? On any given day I might be working on a new comic, illustrating a picture book, designing a video game, creating character designs, developing story ideas, drawing in my sketchbook, teaching a comics workshop, or doing some combination of these things. I prefer to wake up and get right to work, usually by finishing something I started the night before. (It’s helpful for me to finish something early in the day, so I can stay motivated to keep going.) I keep a to-do list in my sketchbook of different things that need to be done for each of my projects, which makes it easy for me to know what to do next. I’ll often prioritize my projects by ranking them in the order they should be completed, and then I’ll try to come up with a rough idea of how much time any one task with take. I never have to ask myself What should I do next?, because I’ve already thought through what needs to be done. After writing, drawing, and planning at home, I might spend a few hours working at the library, the local Barnes & Noble, or my neighborhood comic shop, Dragon’s Keep. I meet up with local business owners, friends, and fellow creators to talk about upcoming projects, or I might take the role of consultant, offering what I hope are helpful thoughts for writers, artists, comic book creators, and others in the community. In-person events are also a big part of my schedule. Over the last few years I’ve been able to help more than 1,000 children, teenagers, and adults complete their first comics. 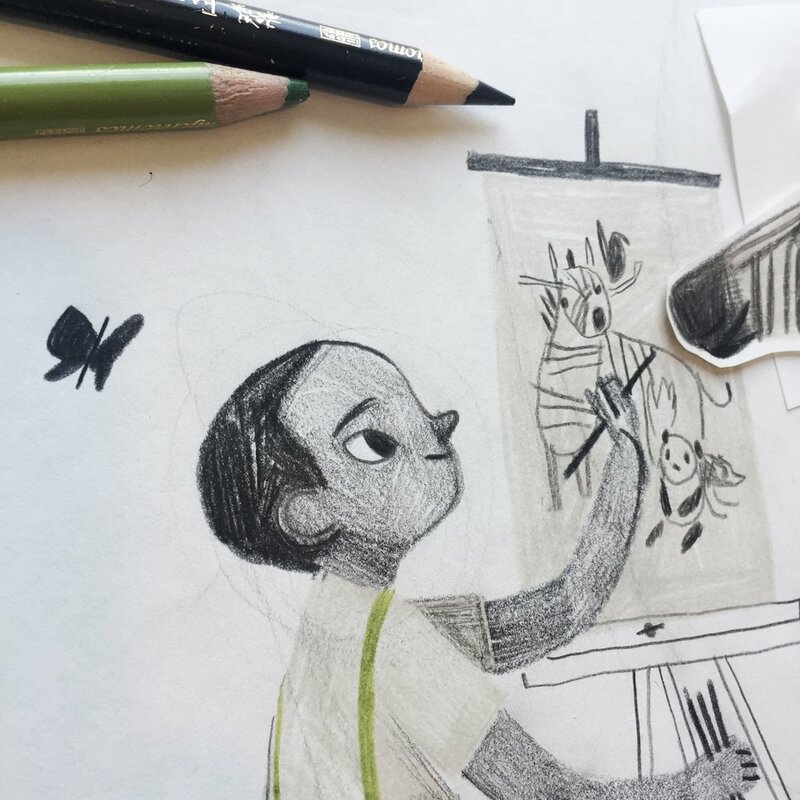 I started with a week-long comics workshop, and have since introduced others to making comics at school visits, library events, Girl Scout meetings, comic conventions, book festivals, writing and art symposiums, and Skype visits. Last month I was able to visit a group of schoolchildren in Pakistan and a comic festival in England, all thanks to the magic of Skype! I love seeing people’s reactions to Let’s Make Comics, and knowing that I’ll be teaching others about the things I’m learning about making comics helps me stay committed and really consider what I’m doing and how I’m doing it. My family and I spend time together and I like to get a little reading in, maybe go for a walk, and then I do a little more drawing or writing before bed. Pretty exciting! We hope you enjoyed this interview with Jess Smart Smiley! Don't forget to head on over to our Instagram for a chance to win Let's Make Comics in our giveaway (closes 7/31). 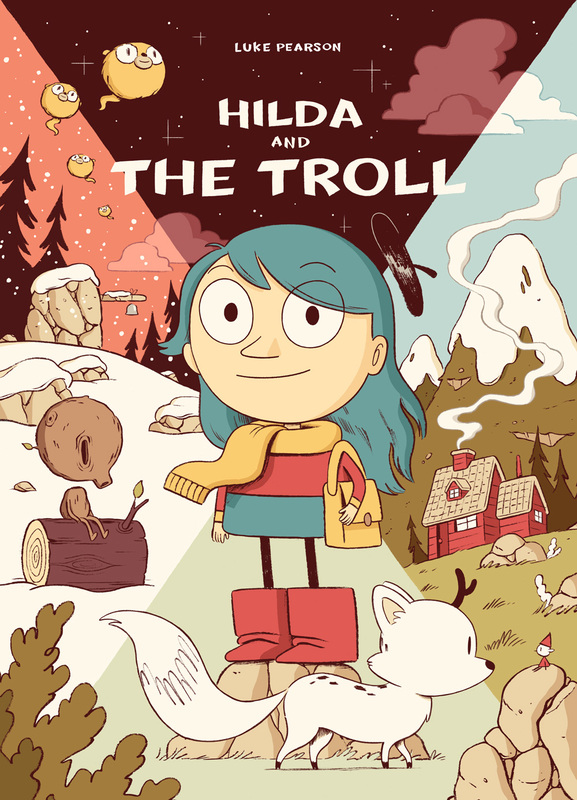 If you've got the comic-loving-bug, you will obsess over ILLUSTORIA's Issues #1 - #7. 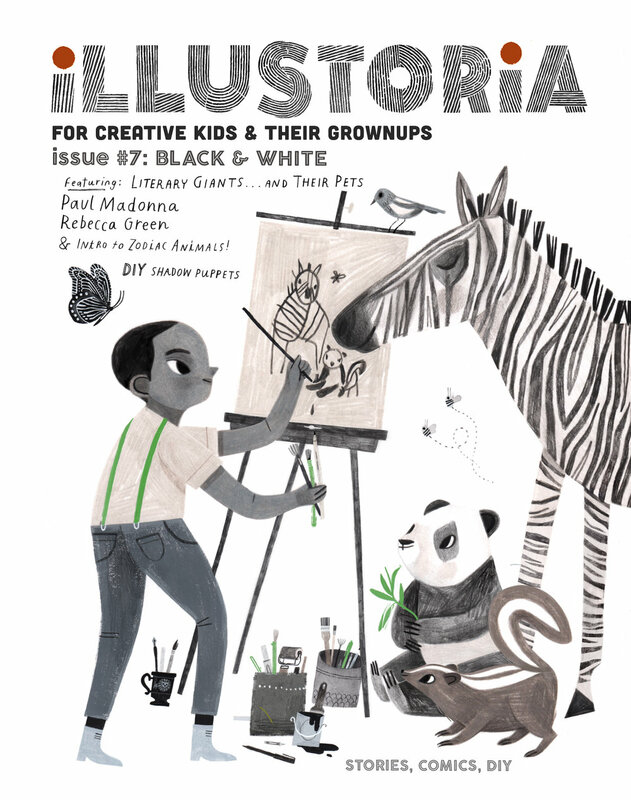 Each issue of ILLUSTORIA is filled to the brim with comics, illustrated short stories, interviews with artists, coloring pages, DIYs and more. Order an issue or a subscription today and fill your days with creativity! We are so pleased to reveal our cover for issue 3, The Outside-In Issue, featuring delectably delicious, wondrously charming art by the amazing Lisa Brown! So when a few months ago Lisa graciously took a morning out of her busy schedule as a writer, illustrator, teacher, mom, and passionate kid-lit advocate to meet with me at one of her favorite cafes in San Francisco, I was beyond excited and a little nervous. I knew through her work that she was exceedingly intelligent and bitingly witty. Being the warm and generous person that she is, Lisa immediately put me at ease. I should have known--after all, those who work in children's books generally are a kind-hearted bunch! Lisa shared with me her thoughts on why it's important to cultivate creativity in kids through that excruciating, self-conscious phase around the middle school years, the range of diverse picture books on her syllabus at CCA, the challenges that women illustrators face in the publishing industry, and she even gave me a sneak peek of her upcoming picture book. (Psst...interview with her and her elusive co-author to come in issue 4!) By the end of the meeting, she sent me along with a list of fabulous artists to contact and agreed to create cover art for an upcoming issue. I was totally blown away...and so grateful, and excited! Thank you, Lisa, for your fabulous contribution to The Outside-In Issue!! Inside you'll also find Lisa's sketchbook tips to aspiring artists. Truly the inside of issue 3 is just as delectable as the outside, with contributions by an array of lovely artists and writers whom we couldn't have pulled this off without, including: Nina Chakrabarti, Amy Novesky, Paul duCoudray, Micah Player, Willie Real, Elizabeth Haidle, Ruth Kneass, Mike Dutton, Alexis Joseph / Case for Making, Britt Browne, Claire Astrow, Yuliya Gwilym, Alexandra Rose Franco of Rito-ito, Rachel Garrison, Kristen Solecki, Clark Jackson, Martin Cendreda, Anne Pomel, Karl Dotter, and Jeremy Anderson. More sneak peeks to come so follow us on Instagram to see the latest updates. Here's a look at #3's table of contents, and be sure to check out our Shop page to see sample spreads from this issue and to pre-order. We'll send out copies in March 2017. I hope you enjoy this issue as much as we loved putting it together. Lastly, thanks to Sakura of America and Case for Making for sponsoring issue 3!